When couples ask for a traditional entry, they usually mean the American type, which we see on the American movies. 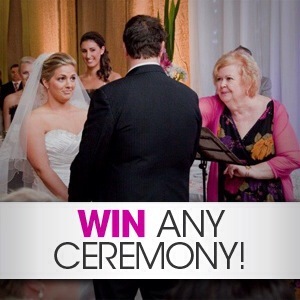 There are actually three different types of entry, plus anything that you might come up with creatively yourself, or with your Celebrant. 1. American entry: This is where the Groom and Groomsmen wait at the wedding site for the Bride. 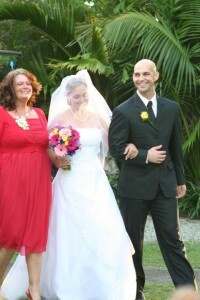 The Bride is preceded by the attendants, e.g. Flower Girl, Page Boy, and typically three Bridesmaids and/or Maid of Honour, then the Bride. Tips for this type of entry, ensure that the children involved are abut 4 years or over, as small children may choose your special day to put on their best tantrum in a spectacular way. Have another adult prepared to step in and take the child aside. • Just before the big day, try and have a massage or relaxing spa day. • Be as organised as possible. • Don’t leave preparations until the last minute, it causes stress. • Have a crew of helpful people with lists, so that everyone knows their role on the day.